your data center and the cloud. 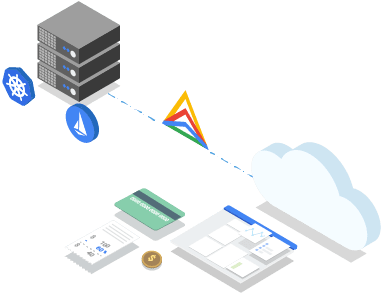 make building on Google Cloud even more flexible and open. offerings with Anthos’s unique capabilities. incorporate Anthos into your preferred cloud environment. Just as organizations need services management for microservices, they need API management for their APIs. Apigee API Management complements Istio with the robust features of Google Cloud’s Apigee API management platform, Apigee Edge, by extending API management natively into the microservices stack. Apigee Edge features include API usage, access, productization, catalog, and discovery, plus a developer portal to create a smooth experience for developers and increase API consumption.